The Mathews Bridge is a cantilever bridge in Jacksonville, Florida, which spans the St. Johns River. The original bridge was constructed in 1953. It was named after John E. Mathews, a Florida state legislator and Chief Justice of the 1955 Florida Supreme Court who helped gather funding for the construction. It brings traffic along the Arlington Expressway between downtown Jacksonville and the Arlington neighborhood. In 1984, the originally silver bridge was painted maroon to celebrate Jacksonville’s United States Football League franchise, the Jacksonville Bulls. In 2007, the bridge underwent a multi-million dollar deck replacement to replace the open grating over the center span with a concrete riding surface. 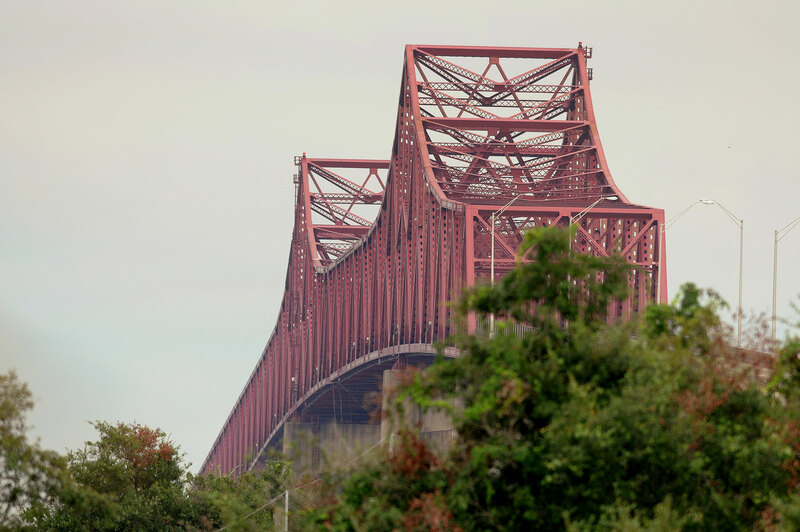 In 2013, after being struck by a Navy transport ship that was being towed by tugboats, the Mathews Bridge was closed to traffic when structural members of the main spain were severely damaged. This bridge is utilized by approximately 56,000 vehicles per day and needed to be closed indefinitely. ELEMENT provided assistance with this emergency response by coordinating with the structures prime consultant to develop the temporary traffic control plan (TTCP) during the repairs. The TTCP included lane closures, full detour plans, and a reversible lane option. The bridge successfully reopened one month after it was struck.